Well, hello there. I'm Courtney, a full-time working mom of two little girls ("two and under"). I'm a marketer, a writer, and often- a big hot mess. 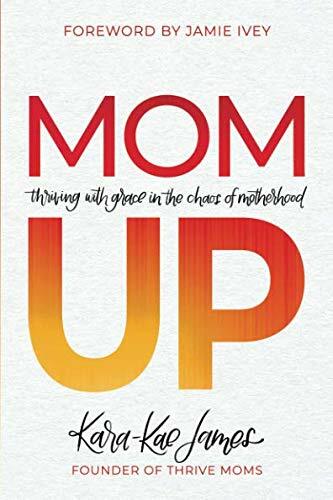 But after 2.75 years wading through uncharted motherhood waters, I'm finding my way, and realizing that the good news is, nobody has it all figured out. (Is it wrong to be slightly comforted by the idea that even when I'm drowning...at least I'm not alone?) I am thrilled to be joining the Thrive Moms blogging team, and looking forward to connecting with you all. Because the encouragement of a mama treading water alongside you is like a bouy to the spirit. It's fitting that my first post here on Thrive Moms would be about community. You see, I’m an extrovert through and through. I crave interaction with others the way most people crave ice cream. Wait a minute…I crave ice cream a lot too…. Anyway, the point is, community is my thing. I’m a talker, I’m a relater, I’m a sharer (…sometimes over-sharer). I process things verbally, so I need to be surrounded by others to help me make sense of my world. But beyond just a baseline need for stimulation, for me the idea of community is about the depth of the connection. I’m not someone who is satisfied with standing side-by-side in a crowd. I need to be part of a group- with close talking, arm-linking, and a we’re in this together type of spirit. For me, life is one big metaphorical Amish barn raising: we should be working, struggling, celebrating, and just plain doing life together. It’s popular these days to lament the demise of the community. You know the rhetoric- harkening back to the good old days when neighbors were friends, people actually borrowed cups of sugar (never mind actually baking things, which is a whole other topic), and you could run a tab at the corner store. And I certainly can get swept into the nostalgia of a bygone era of community spirit…but when I snap back, I have to ask myself, was it ever truly that way? Beyond some faded memories based more on episodes of Leave it to Beaver than our real experiences, where are we getting our notions of what it means to be in community with one another? What is our model for relating to each other on a deep and meaningful level? It’s possible that some of us have never witnessed the specific brand of community that we seem to long for, but that doesn't make the need less severe. In fact, it might be more-so. We may not have the memories of our mothers working side-by-side in the wash basin, trading off watching the children and regularly dropping off meals for those in need. But we none-the-less feel the longing for connection, the loneliness of isolation, and the hunger for a sense of belonging. We may not know exactly what’s missing, but we undoubtedly realize we were created for something more. And for me, the need for community has never been so strong as when I became a mother. As I said, I’ve always been one to lean others for support, but motherhood has intensified my reliance on others, to a level I didn't fully expect. Sure, I knew enough to accept the pre-prepped meals people lovingly offered, and I was familiar with the whole "it takes a village to raise a child" concept, but I underestimated the feeling of loneliness that came with caring for an infant full time. I not only needed help- extra hands to help wrangle a slippery babe in the bath- I needed understanding. That unparalleled feeling of being wholly and completely known. Where you are vulnerable enough to share your heart and are met immediately with emphatic nods of agreement, and a consoling hugs that tell you beyond words that you are not alone. And as I nod my head in emphatic agreement, I also feel called to build upon that last part. Because it's not that I think nature might have intended something different. I know that a greater need is built into us all. We were created to be in communion with our creator, and designed for a life of community with each other. We are the body of Christ. Singular. United. It doesn’t get much more in this together than that. So I will embrace the way I was made. The inescapable need to love and be loved by others. I'll listen to the stirring of my spirit that demands to connect in a meaningful way. I'll continue to seek genuine community, even in a world whose pace all but dictates shallow, surfacey interaction. Because while our networks may be morphing to more virtual than physical, the need for community has stayed the same. There is, and always will be, sorrow to be shared, and joy to be multiplied. And a whole bunch of babies, and barns, to raise.